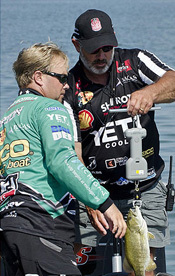 Brecknell recently announced their new partnership as the official scale sponsors of Major League Fishing’s 2013 event. Major League Fishing is one of the new highlights of the sporting calendar for many anglers, with 24 of the world’s premiere competitive bass fishing anglers coming together to compete in high-intensity angling competitions over the month of September. With the ‘New Game, New Rules and No Limits’ slogan, the competition winner is the competitor with the highest total weight caught over the course of the competition. With accuracy and weight being the key deciding factor for the victor, Major League Fishing chose Brecknell’s ElectroSamson as the best portable scale for the job. So, if you’re in the market for a digital fishing scale that is both portable and affordable, this is your ideal weighing solution. 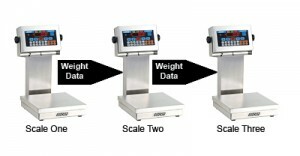 The ElectroSamson is a hand held electronic digital balance which can be used for hand-held weighing, with or without the weigh handle, or suspended weighing. Ideal for anglers and other sports, the highly portable ElectroSamson allows you to switch from kg/lb/oz, has a bright LED display and comes in three capacities to suit your needs. Click here for an entire brochure of the angling scales from Brecknell. For more information contact us at 919-776-7737. At Central Carolina Scale, we’ve been selling, renting, and repairing scales for over 30 years and likewise Intercomp has been building outstanding portable wheel weighers and crane scales for decades as well. 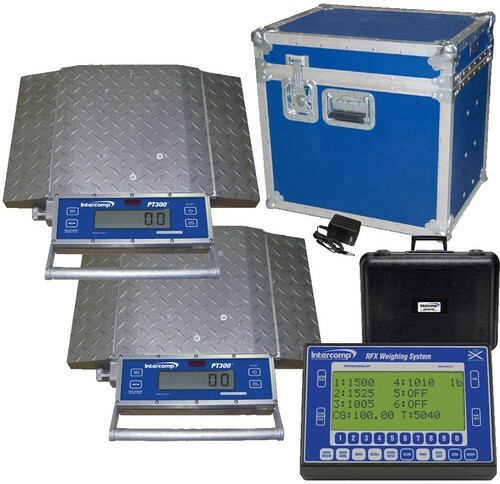 Intercomp is the world’s largest manufacturer of portable weighing and measurement products, producing the highest quality products at competitive prices. Customers in fields like aerospace, transportation, automotive, and numerous other industries know that Intercomp’s products provide reliable solutions for the most exacting applications. 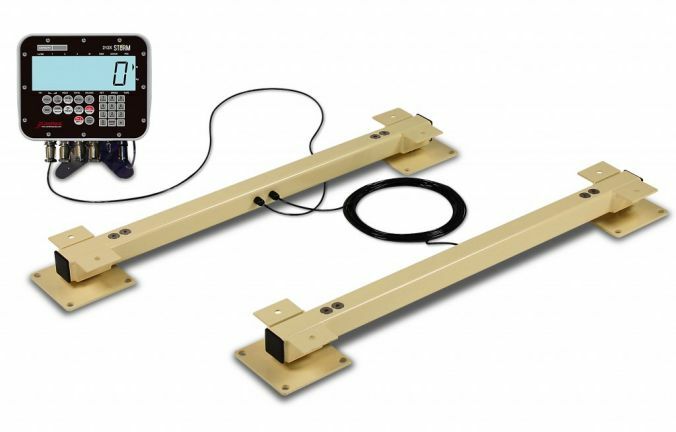 If you’re in the market for a set of professional weigh beams or load bars then you have found the set of scales for you. Cardinal Scale’s new USA-made LB series load bars are manufactured for versatile use underneath a variety of farm weighing applications, including alleyway platforms, cages, squeeze chutes, bins, hoppers, and other types. The Cardinal LB series feature rugged structural steel tube frame construction with extra-wide foot plates on each end and receiver tabs on top, plus four Cardinal USA-made model TB 2500-lb stainless steel load cells with adjustable support feet. Standard sizes come in 24, 36, and 48 inch lengths, plus custom sizes are available. Select from either 2,500 or 5,000-lb capacity models. These electronic scale bases provide an economical approach for ranchers and farmers with nearly limitless agricultural weighing applications! The load bars require a firm level surface and a rigid crate or platform. There is no summing box required, and they are accurate to within +/- 1%. Included cables run 12 ft. between the load bars and 20 ft. for the indicator (indicator sold separately). If you’re interested in more information on this exciting new product, please contact us at 919-776-7737.